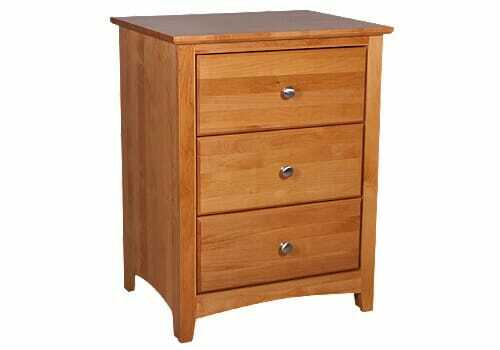 Model number 6123X Alder Shaker wide nightstand by Archbold Furniture Company. 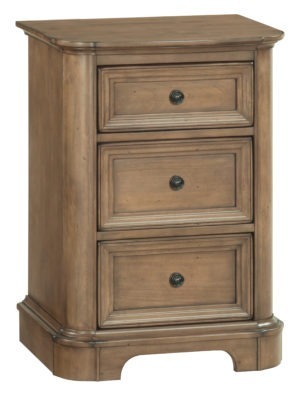 The classic design of this nightstand will add a timeless quality to any bedroom. 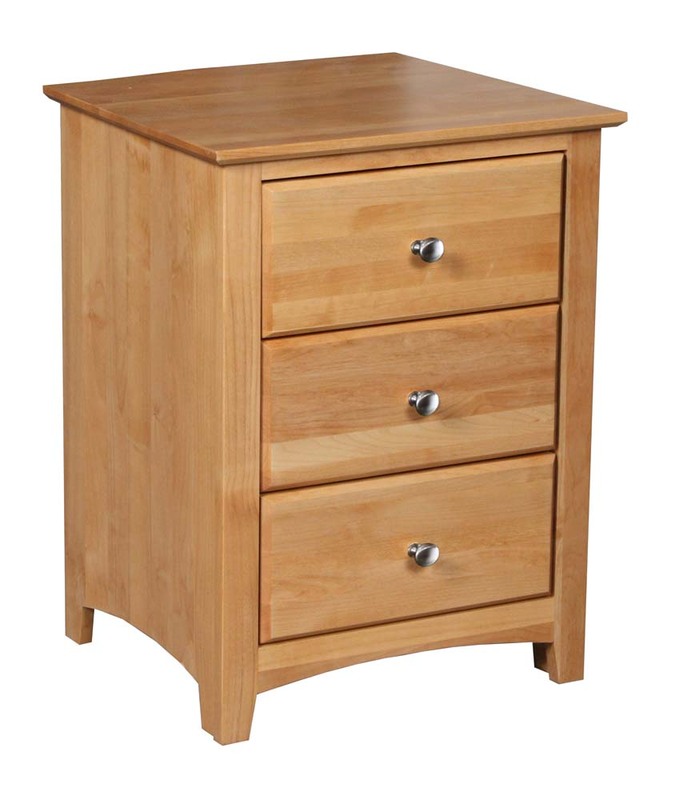 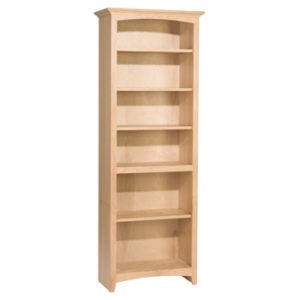 From the Shaker collection, this unit is made of high quality American alder wood which ensures it a lifetime of strength and usage. 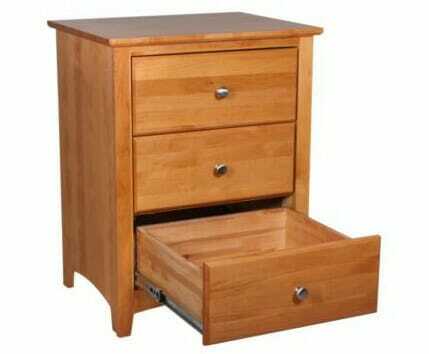 The roomy drawers are great for storing miscellaneous items. 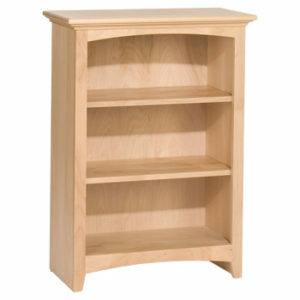 They sit on full-extension rolling glides. 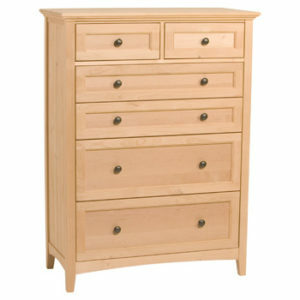 This piece is wider than the 6143X unit to complement a larger bedroom. 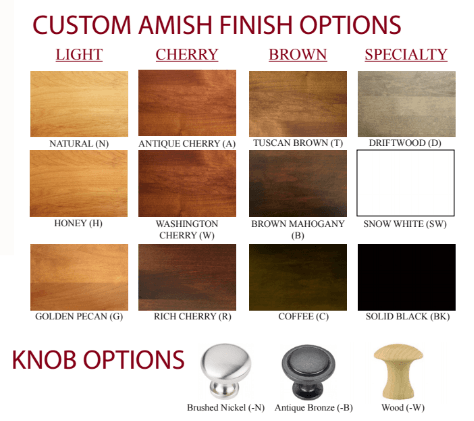 It ships fully assembled and is available unfinished (stocked with brushed nickel knobs) or finished (your pick of wood, brushed nickel, or antique bronze knobs) in your choice of stain.